"Color Block." 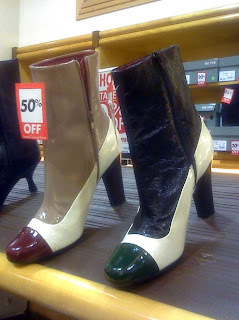 Although, if there were any 9's, I would have totally bought these color block boots for $10 (1/2 off of the reduced price of $19.99). Which goes to prove one can tire of the phrase but still be a sucker to the trend. I prefer to call these "Mondrian Chic." "Body Con." Yuk. 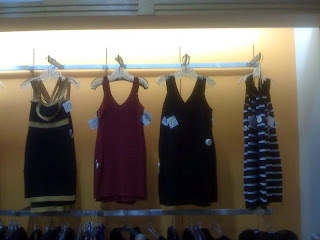 I was privileged to wear Leger back when it was Herve-made, and shoved a leg or two into an Alaia in my heyday. I appreciate the incredible things those dresses do for one's figure. But I wouldn't be sad to never hear "body con" in '09. Not seeing another bad Leger knockoff would also not make me sad. "Boho Chic." No one was happier than I was to embrace boho chic. I love boho chic. I want to look boho chic for the rest of my life. 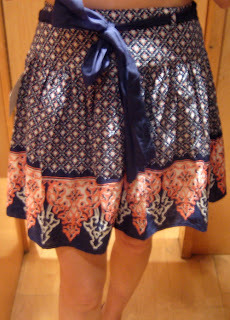 But if I have to read about one more boho chic designer, dress or handbag, I may turn into a button-down pumpkin. Boho chic? Honestly I hardly know anymore. But I can't end 2008 on such a negative note! 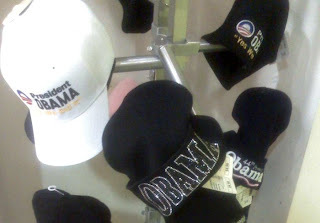 As much as I can't wait to kick her to the curb and embrace '09, The Berry reminded me that "Yes, we can still find Obama bling caps, and for 25% off." I'm tired of the phrase "_______ is the new black." Purple, Kumquat Yellow, Plaid, whatever, are never going to be as basic as black no matter how much they try to shove it down our throats. So there! Strawberries make me think of champagne and champagne makes me think of New Years and New Years makes me want to wish you a happy one. Hi there-a great review of whats hot and whats not!! happy new year to you my dear! Love it. Happy New Year!! God love Prunella on the "_______ is the new black." And we realize we are approximately 20-30 years behind the times on any given day when it comes to fashion... but didn't boho chic leave us a year or two ago? We thought we were instructed by Vogue or perhaps it was a command from Bazaar, or some magazine issuing the edict that we were to dispose of all boho chic items. Immediately. As in yesterday. Yes, TP, exactly! 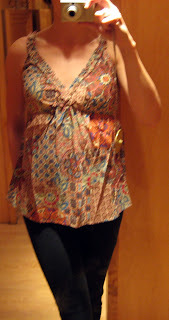 I feel like boho chic has been around FOREVER! very odd for the fashion business, yes?